NHS England and EHI Intelligence have today announced the launch of the Clinical Digital Maturity Index (CDMI), a benchmarking tool that enables NHS hospitals to better understand how investing in, then effectively using information technology can improve patient safety and outcomes, reduce bureaucracy, and deliver efficiencies. The levels of digital capability in the NHS is variable and the CDMI will help NHS Trusts see where they are in terms of digital capability and monitor progress over time. The index, free to all NHS organisations, will help them rate their own technical capabilities, such as e-prescribing and e-referral, and identify where progress can be made. The CDMI also delivers on NHS England’s commitment to develop and publish a Clinical Digital Maturity Index in Putting Patients First: The NHS England Business Plan 2013/14 – 2015/16 to drive the move to digital records, prescribing and referrals by March 2015. NHS England has partnered with EHI Intelligence to develop the CDMI, which is based on EHI’s existing tool and uses information obtained directly from NHS Trusts, to provide the learning and information completely free of charge to all NHS organisations, saving the NHS about £1.6m. “Digital systems drive up the quality and safety of patient care by preventing drugs being prescribed incorrectly and, potentially, lethally because patient notes have been lost. “The CDMI is an important first step in realising NHS England’s digital vision, and I hope it will help stimulate discussion between Trusts, their peers and partners about what good, better and best looks like. “We will make this information freely available to all NHS Trusts so they can see where they sit in relation to their peers. “The CDMI has been created specifically as a means of putting insight into the hands of clinicians, senior managers and boards, to enable them to review and identify best practice. The CDMI is not a rating system to encourage competition between NHS Trusts. Rather, it aims to exemplify what the steps to increasing capability and use of digital systems might look like. NHS England expects the CDMI to inspire organisations to work together, with all Trusts sharing expertise and learning from each other’s successes. 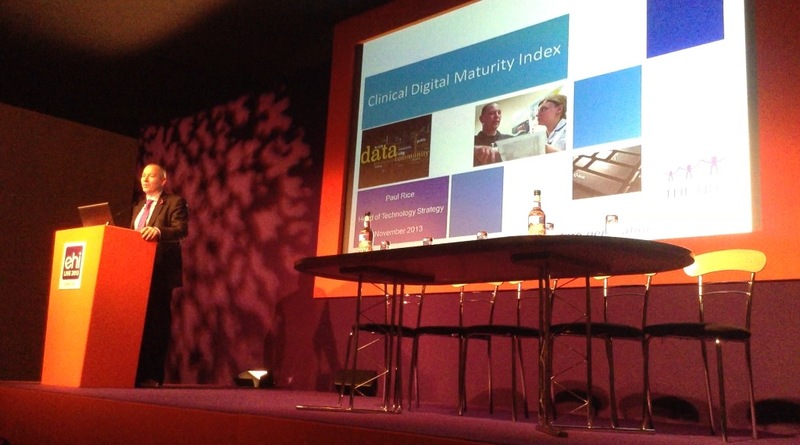 See here for more information on the Clinical Digital Maturity Index (CDMI).